Nasir Mahmood, Heonyeong Jeong, Inki Kim, Muhammad Qasim Mehmood*, Muhammad Zubair, Ali Akbar, Murtaza Saleem, Muhammad Sabieh Anwar, Farooq Ahmad Tahir and Junsuk Rho, "All-dielectric Nanowaveguides to Realize Polarization Insensitive Meta-axicons", Advanced Optical Materials (under review, 2019)* = Corresponding Author, Equal Contribution, Impact Factor = 7.430. Yumna Siddique, Muhammad Zubair, and Muhammad Qasim Mehmood*, "Split-Ring-Resonator-based Bi-functional Metalenses in Microwave Regime", IET Microwaves, Antennas and Propagation (under review, 2019) * = Corresponding Author, Impact Factor = 1.753. Abdullah Madni, Kashif Riaz, Muhammad Rizwan Akram, Tauseef Tauqeer, Hamood Ur Rahman, Wasif Tanveer and Muhammad Qasim Mehmood*, "A Compact Rectangular MIMO Antenna for UWB Applications ", Microwave and Optical Technology Letters (under review, 2019) * = Corresponding Author, Impact Factor = 0.948. Muhammad Afnan Ansari, Inki Lim, Muhammad Hamza Waseem, Heongyeong Jeong, Muhammad Zubair, Nasir Mahmood, Dasol Lee, Selcuk Yerci, Tauseef Tauqeer, Muhammad Qasim Mehmood*, Junsuk Rho*, "Spin-encoded All-dielectric Metahologram for Visible Light", Laser & Photonics Reviews, (accepted, 2019). * = Corresponding Author, Impact Factor = 8.529. Ali Arif, Muhammad Zubair, Mubasher Ali, Muhammad Umar Khan, Muhammad Qasim Mehmood*, "A Compact, Low-Profile Fractal Antenna for Wearable On-Body WBAN Applications", IEEE Antennas and Wireless Propagation Letters (accepted, 2019) * = Corresponding Author, Impact Factor = 2.533. Muhammad Rizwan Akram, Muhammad Qasim Mehmood, Tauseef Tauqeer, Chong He, Xianling Liang, Junping Geng, Ronghong Jin, Ivan Rukhlenko, and Weiren Zhu, "Highly Efficient Generation of Bessel Beams with Polarization Insensitive Metasurfaces", Optics Express (accepted, 2019) Impact Factor = 3.356. Inki Kim, Sunnae, Ahsan Sarwar Rana, Muhammd Qasim Mehmood, Junsuk Rho, "Thermally Robust Ring-shaped Chromium Perfect Absorber of Visible Light", Nanophotonics 7, 1827-1833, (2018) Impact Factor = 6.014. Zile Li†, Qi Dai†, Muhammd Qasim Mehmood†, Guangwei Hu, Boris Luk'yanchuk, Jin Tao, Chenglong Hao, Inki Kim, Heongyeong Jeong, Guoxing Zheng, Shaohua Yu, Andrea Alu, Junsuk Rho and Cheng-Wei Qiu, "Full-space cloud of random points with a scrambling metasurface", Nature: Light: Science and Applications, 7, Article number: 63 (2018) † = Equal Contribution, Impact Factor = 13.625. Ahsan Sarwar Rana†, Muhammd Qasim Mehmood*†, Heonyeong Jeong, Inki Kim, Junsuk Rho, "Tungsten-based Ultrathin Absorber for Visible Regime", Nature: Scientific Reports, Volume 8, Article number: 2443 (2018). † = Equal Contribution. * = Corresponding Author, Impact Factor = 4.112. R. C. Mahdy, Md. Danesh, Tianhang Zhang, Weiqiang Ding, Hamim Mahmud Rivy, Ariful Bari Chowdhury, Muhammd Qasim Mehmood, "Plasmonic Spherical Heterodimers: Reversal of Optical Binding Force Based on the Forced Breaking of Symmetry", Nature: Scientific Reports, Volume 8, Article number: 3164 (2018). Impact Factor = 4.112. Kun Huang, Hong Liu, Sara Restuccia, Muhammd Qasim Mehmood, Shengtao mei, Daniel Giovannini, Aaron Danner, Miles Padgett, Jinghua Teng and Cheng-Wei Qiu, “Spiniform-Phase-Encoded Metagratings Entangling Arbitrarily Rational-order Orbital Angular Momentum", Light: Science & Applications, (2018) 7, 17156. Impact Factor = 13.625. Sohail Abdul Jalil, Mahreen Akram, Gwanho Yoon, Ayesha Khalid, Dasol Lee, Niloufar Raeis-Hosseini, Sunae So, Inki Kim, Qazi Salman Ahmed, Junsuk Rho, Muhammd Qasim Mehmood*," High Refractive Index Ti_3O_5 Films for Dielectric Metasurfaces", Chinese Physics Letters 34, 088102 (2017) * = Corresponding Author. Impact Factor = 0.80. Zile Li†, Inki Kim†, Lei Zhang†, Muhammd Qasim Mehmood†, Sabieh Anwar, Murtaza Saleem, Dasol Lee, Ki Tae Nam, Shuang Zhang, Boris Luk'yanchuk, Guoxing Zhang, Junsuk Rho and Cheng-Wei Qiu," "Dielectric Meta-Holograms Enabled with Dual Magnetic Resonances in Visible Light", ACS Nano, 11 (9), pp 9382–9389 (2017). † = Equal Contribution. Impact Factor = 13.942. Guoxing Zheng, Weibiao Wu, Zile Li, Shuang Zhang, Muhammd Qasim Mehmood, Ping’an He, and Song Li, "A Dual Field-of-View Zoom Metalens", Optics Letters 42, Issue 7, pp. 1261-1264 (2017). Impact Factor = 3.416. R. C. Mahdy†, Muhammd Qasim Mehmood†, Weiqiang Ding, Tianhang Zhang, Zhi Ning Chen, "Lorentz Force and the Optical Pulling of Multiple Rayleigh Particles outside the Dielectric Cylindrical Waveguides", Annalen der Physik. Volume 529, Issue 3, 1600213 (2017). †=Equal Contribution. Impact Factor = 3.039. Mei, K. Huang, T. Zhang, Muhammd Qasim Mehmood, H. Liu, C.T. Lim, J. Teng, and C.-W. Qiu*, "Evanescent Vortex: Optical Subwavelength Spanner", Applied Physics Letters, 109, 191107 (2016). Impact Factor = 3.142. Shengtao Mei†, Muhammd Qasim Mehmood†, Sajid Hussain, Kun Huang, Xiaohui Ling, Shawn Yohanes Siew, Hong Liu, Jinghua Teng, Aaron Danner and Cheng-Wei Qiu, "Flat Helical Nanosieves", Advanced Functional Materials, Volume 26, Issue 29, Pages 5255–5262, (2016). †=Equal Contribution. Impact Factor = 11.382. Wei Xiang Jiang, Shuo Ge, Tiancheng Han, Shuang Zhang, Muhammd Qasim Mehmood, Cheng-Wei Qiu and Tie Jun Cui, "Shaping electromagnetic wave paths using three-dimensional gradient-refractive index metamaterials", Advanced Science, Volume 3, Issue 8, 1600022 (2016). Impact Factor = 6.00. Muhammd Qasim Mehmood, Shengtao Mei, Sajid Hussain, Kun Huang, S. Y. Siew, Lei Zhang, Tianhang Zhang, Xiaohui Ling, Hong Liu, Jinghua Teng, Aaron Danner, Shuang Zhang, and Cheng-Wei Qiu, “Visible-frequency Metasurface for Structuring and Spatially Multiplexing Optical Vortices” Advanced Materials, Volume 28, Issue 13, Pages 2533–2539, (2016). Impact Factor = 18.96. Shengtao Mei, Kun Huang, Hong Liu, Fei Qin, Muhammd Qasim Mehmood, Zhengji Xu, Minghui Hong, Daohua Zhang, Jinghua Teng, Aaron Danner, and Cheng-Wei Qiu, “On-chip Discrimination of Orbital Angular Momentum of Light with Plasmonic Nanoslits” Nanoscale, 8, 2227-2233, (2016). Impact Factor = 7.760. Muhammd Qasim Mehmood, Hong Liu, Kun Huang, Shengtao Mei, Aaron Danner, Boris Luk’yanchuk, Shuang Zhang, Jinghua Teng, Stefan A. Maier, and Cheng-Wei Qiu, “Broadband Spin-Controlled Focusing via Logarithmic-spiral Nanoslits of Varying Width” Laser & Photonics Reviews, Volume 9, Issue 6, Pages 674-681, (2015). Impact Factor = 8.01. Xianzhong Chen, Ming Chen, Muhammd Qasim Mehmood, Dandan Wen, Fuyong Yue , Cheng-Wei Qiu and Shuang Zhang, “Longitudinal multi-foci metalens for circularly polarized light”, Advanced Optical Materials, 3, No. 9, 1201–1206 (2015). †=Equal Contribution. Impact Factor = 4.062. Dacheng Wang, Lingchao Zhang, Yinghong Gu, Muhammd Qasim Mehmood, Yandong Gong, Amar Srivastava, Linke Jian, T. Venkatesan, Cheng-Wei Qiu & Minghui Hong, “Switchable Ultrathin Quarter-wave Plate in Terahertz Using Active Phase-change Metasurface”. Scientific Reports 5, Article number: 15020 (2015). Impact Factor = 5.578. Jialian Sheng, Mengdao Xing, Lei Zhang, Muhammd Qasim Mehmood, and Lei Yang, “ISAR Cross-Range Scaling by Using Sharpness Maximization,” Geoscience and Remote Sensing Letters, IEEE, vol.12, no.1, pp.165,169, Jan. 2015. Impact Factor = 1.809. Hong Liu†, Muhammd Qasim Mehmood†, Kun Huang, Lin Ke, Huapeng Ye, Patrice Genevet, Mingsheng Zhang, Aaron Danner, Swee Ping Yeo, Cheng-Wei Qiu, and Jinghua Teng, “Twisted Focusing of Optical Vortices with Broadband Flat Spiral Zone Plates.” Advanced Optical Materials, 2, No. 12, 1193–1198 (2014) †=Equal Contribution, Impact Factor = 4.062. Abdul Razzaq Farooqi, Muhammad Junaid Mughal and Muhammd Qasim Mehmood, "Focusing of Electromagnetic fields by a circular reflector coated with Chiral Medium." International Journal of Applied Electromagnetics and Mechanics, Vol. 38, No. 4, 181-193 (2012). Impact Factor =0.384. Nasir Mahmood, Muhammad Qasim Mehmood, Inki Lim, Farooq Ahmad Tahir, Junsuk Rho, "Manipulating Twisted Light Beam Through All-dielectric Metasurfaces," SPIE 10928, High Contrast Metastructures VIII, 1092811 (4 March 2019); doi: 10.1117/12.2508545. Event: SPIE OPTO, 2019, San Francisco, California, United States. Muhammad Afnan Ansari, Muhammad Hamza Waseem, Inki Kim, Nasir Mahmood, Heongyeong Jeong, Farooq Ahmad Tahir, Tauseef Tauqeer, Muhammad Qasim Mehmood, Junsuk Rho, "Highly Efficient Visible Hologram through Dielectric Metasurface." International Conference on Metamaterials and Nanophotonics, METANANO 2018 Sochi, Russia, IOP Conf. Series: Journal of Physics: Conf. Series 1092 (2018) 012003. Nasir Mahmood, Muhammd Qasim Mehmood, Inki Kim, Heongyeong Jeong, Farooq Ahmad Tahir, and Junsuk Rho, "Light Manipulation at Compact Scale via All-dielectric Metasurfaces." 12th International Congress on Artificial Materials for Novel Wave Phenomena - Metamaterials 2018, Espoo, Finland, (2018). Ahsan Sarwar Rana, Muhammad Qasim Mehmood, Heongyeong Jeong, Inki Kim and Junsuk Rho" Ultra-broadband Tungsten Absorber." Progress in Electromagnetics Research Symposium (PIERS | Toyama), Japan, 1- 4 August, (2018). Nasir Mahmood, Muhammad Qasim Mehmood, Inki Kim, Heongyeong Jeong, Farooq Ahmad Tahir, Junsuk Rho, "Micron-scale Light Structuring via Flat Nanodevices," SPIE 10671, Metamaterials XI, 1067126 (7 May 2018); doi: 10.1117/12.2314411. Event: SPIE Photonics Europe, 2018, Strasbourg, France. Shengtao Mei, Muhammd Qasim Mehmood, Kun Huang, Cheng-Wei Qiu, "Multi-foci Metalens for Spin and Orbital Angular Momentum Interaction." SPIE9544, Metamaterials, Metadevices, and Metasystems (2015), 95441J. Hong Liu, Muhammd Qasim Mehmood, Kun Huang, Lin Ke, Huapeng Ye, Patrice Genevet, Mingsheng Zhang, Cheng-Wei Qiu, Jinghua Teng, " Aperiodic Nanophotonics: A New Paradigm for Engineering Light's Orbital Angular Momentum." Meta 15, New York (2015). Muhammd Qasim Mehmood (PI), Muhammad Sabieh Anwar, Kashif Riaz, "Study of Intriguing Phenomena owing to Light’s Interaction with Two Dimensional Dielectric Metamaterials’’, National Research Program for Universities (Award No. 10177/Punjab/ NRPU/R&D/HEC/2017), 2019-2021. RKR 2.561636 Million. Muhammd Qasim Mehmood (PI) and Ivan D. Rukhlenko, "Novel Design Methods for Asymmetric All-dielectric Metasurfaces’’, ITMO Micro Fellowship Russia, 2019-2020. RKR 0.5 Million. 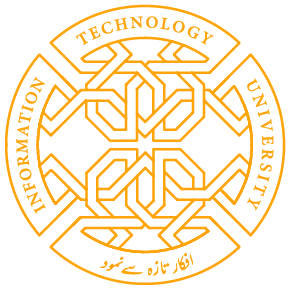 Muhammd Qasim Mehmood (PI), "Investigating Novel Phenomena and Developing Associated Applications via Electromagnetic Wave’s Interaction with Flat Metamaterials’’, ITU Start-up Grant, 2016-2019. PKR 22.5 Million. Muhammd Qasim Mehmood (PI) "HEC/PHEC Travel Grants", 2018-2019. PKR 1.066 Million. 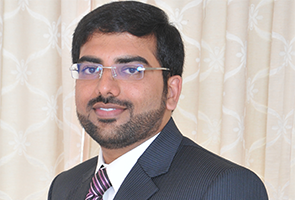 Muhammd Qasim Mehmood (PI), "Development of Metamaterials for real-time Applications’’, ITU Internal Grant, 2019-2022. PKR 22.5 Million. Muhammad Zubair (PI), and Muhammd Qasim Mehmood (Co-PI), "Breast Cancer Detection via Optical Imaging", Plan 9, Incubation Center, 2018-2019. PKR 0.6 Million. Selected for ICTP Winter School of Optics, 2017. NUS Research Scholarship for Ph.D.
2nd Position (with the highest distinction: 3.95/4.00 CGPA) in BS in Electronic Engineering. Pohang University of Science and Technology (POSTECH), South Korea. Lahore University of Management Sciences (LUMS), Lahore Pakistan.